IDBI Walkin Drive for freshers in Mumbai from 4th and 5th June 2014. 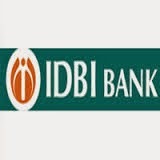 IDBI Recruitment Drive in Mumbai for freshers and Experienced candidates. IDBI Job Openings for Mis Executive Position. Any Graduate and Post Graduate freshers are eligible to attend this drive. Interested and eligible candidates can directly walkin to below mentioned address. Job Opening with IDBI FEDERAL LIFE INSURANCE with our corporate head office located in lower parel. IDBI Federal Life Insurance Co Ltd is a joint-venture of IDBI Bank, India”s premier development and commercial bank, Federal Bank, one of India”s leading private sector banks and Ageas, a multinational insurance giant based out of Europe. In this venture, IDBI Bank owns 48% equity while Federal Bank and Ageas own 26% equity each. . Having started in March 2008, in just five months of inception, IDBI Federal became one of the fastest growing new insurance companies to garner Rs 100 Cr in premiums. Through a continuous process of innovation in product and service delivery IDBI Federal aims to deliver world-class wealth management, protection and retirement solutions that provide value and convenience to the Indian customer. The company offers its services through a vast nationwide network of 2,186 partner bank branches of IDBI Bank and Federal Bank in addition to a sizeable network of advisors and partners. As on 31st March 2013, the company has issued over 4.99 lakh policies with a sum assured of over Rs. 28,580 Cr.